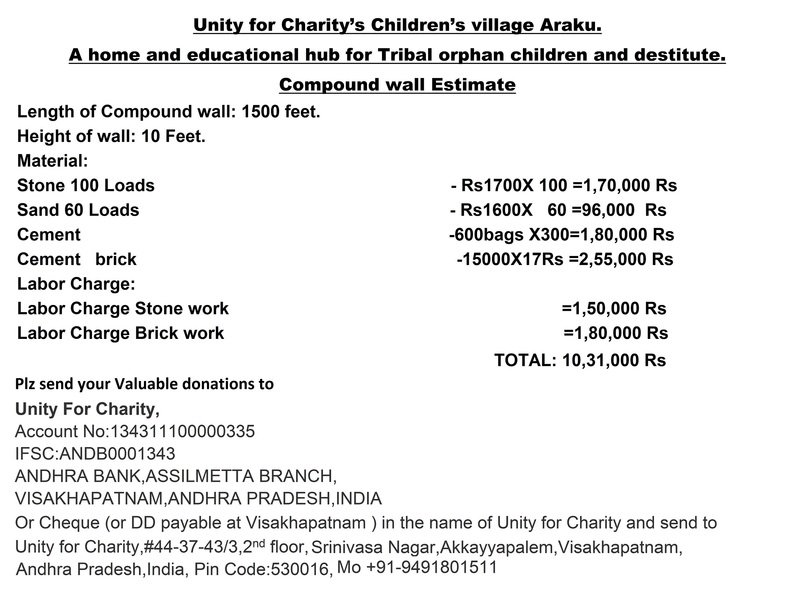 Unity for Charity’s Children’s village Araku. A home and educational hub for Tribal orphan children and destitute. The girl in the photograph is Korra Kumari, 15 years old, studying 10th standard. 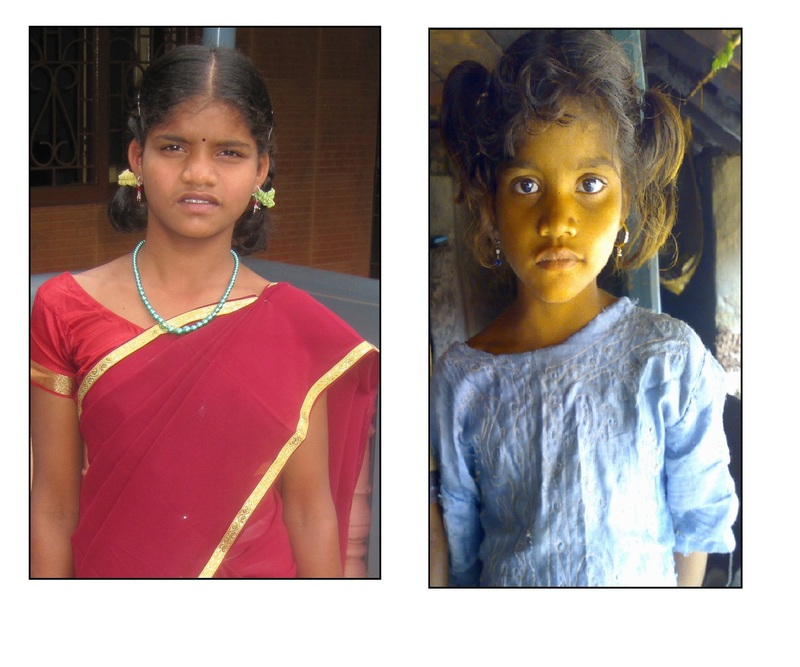 She came when she was 5 years old after her father died and her tribal mother abandoned her. She cherishes a hope of one day becoming an engineer to make good houses for her tribal friends. When she came to us a teary eyed bewildered and apprehensive kid we never imagined her to become so strong as to care for the other 4 abandoned children living with us. We have been providing for these kids shelter and educating them with our own hearts aided. 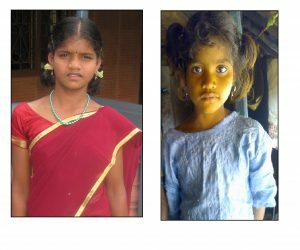 Providing free English medium education to 50 orphans and semi orphans by philanthropic donations at Araku and Visakhapatnam. We are now constructing Unity for Charitys Childrens village Araku, a home and educational hub for Tribal orphan children and destitute. A land of 1.26 Acer donated by Neeli Narayana Rao and family at Araku village. 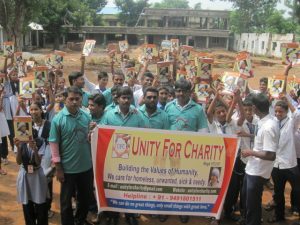 Unity for charity successfully organized health camps, book donations in Government schools, raised funds for economically weak medically ill patients and the rehabilitation of people begging in the streets. Now we ask your help in taking up the challenge of empowering our tribal future who are the reflections of our natural heritage and culture. Even though these children are closest to nature, they are succumbing to the vagaries of an ancient but harsh society. 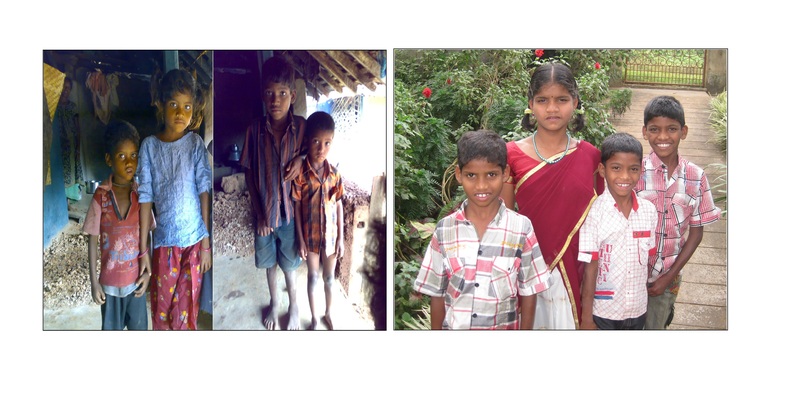 In Araku and Paderu hill regions, children are abandoned if either of the spouse dies or leaves the relationship. These kids remain unloved, exploited and hopeless. Our strategy is to develop a Unity for Charitys Childrens village, a home and educational hub for Tribal orphan children and destitute. This will be able to accommodate up to 150children. Its a residential educational campus with English medium school and residential houses where a trained mother looks after the orphan children with middle class home facility, where the children grows in a family atmosphere and develops brotherhood relationship among the children. In our house Babu Rao who has constructed a stereo out of scraps, which plays with help of blue tooth and a mobile charger. We require help from you who represent the loving society which can extend its warmth to the orphans like him who are awaiting for their wings of fire to be ignited. 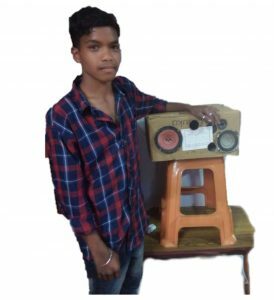 He may not be the next Abdul Kalam but he will with your helping hand will carry the rocket of hope to light up the future sky.